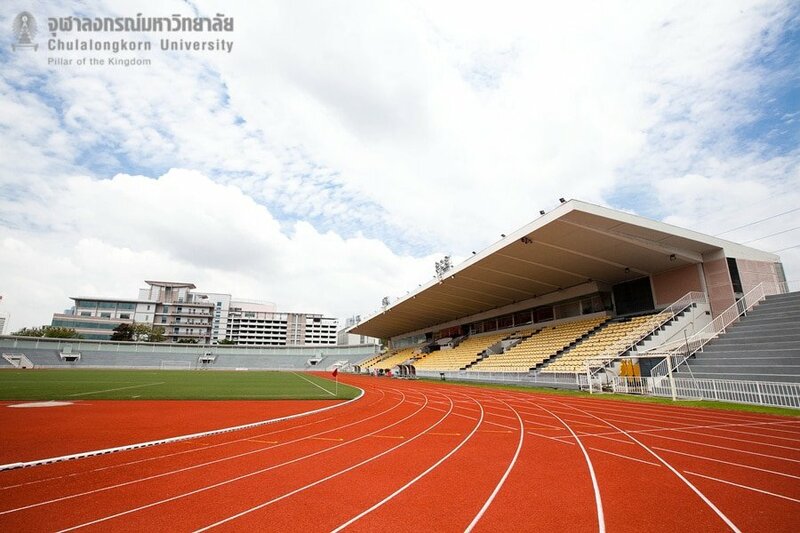 Chulalongkorn Stadium – This standard outdoor stadium has a maximum seating capacity of 25,000. 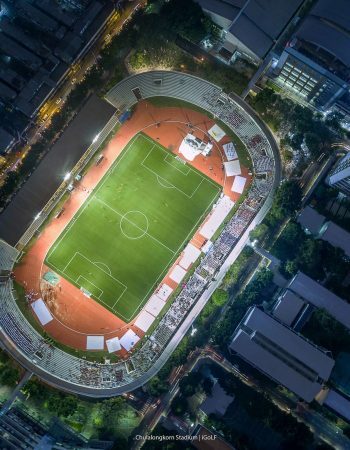 It is ideal for football, hockey, rugby and other outdoor sports with a field of synthetic turf and 8-lane synthetic track. A Sports Library is also housed here. 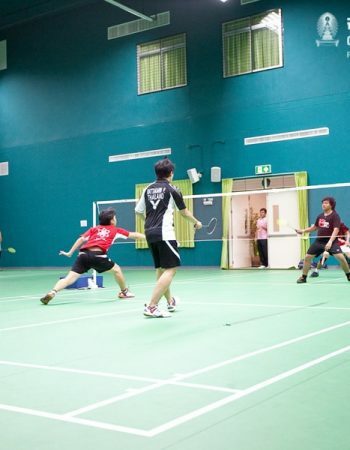 Indoor Sports Gymnasium 1 – This multi-purpose gymnasium has facilities for sports, such as sepak takraw, volleyball, basketball, table tennis, badminton, judo, boxing and gymnastics. 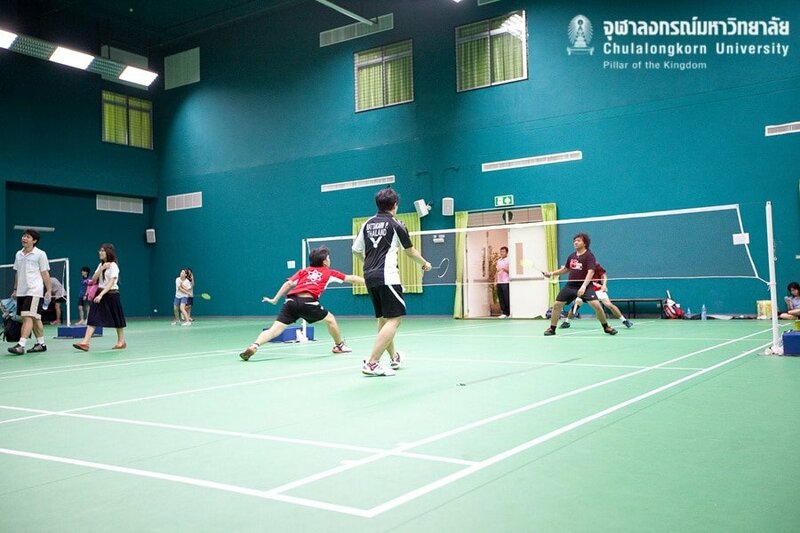 Indoor Sports Gymnasium 2 – There are 4 badminton courts. 1-hour booking in advance at the court is required. Tennis Courts 1 – There are 10 tennis courts with full lighting; knock boards for self-practice are also available. Tennis Courts 2 – There are 4 tennis courts with full lighting. 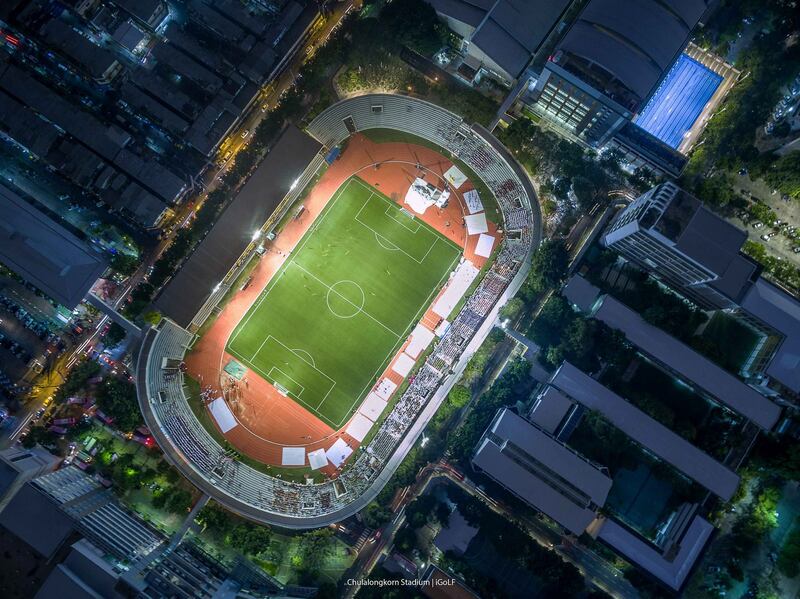 Futsal Field – There are 2 futsal fields with full lighting, located near the Faculty of Sports Science. 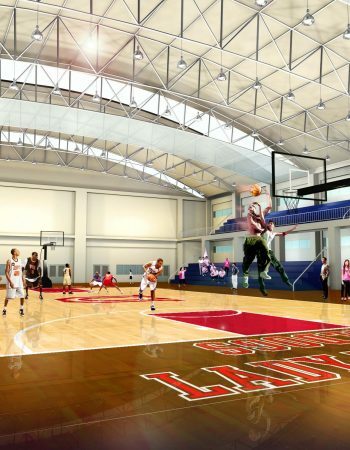 Golf – There is 1 pitch course in the back and 1 putt course in front of Indoor Sports Gymnasium 1. Beach Volleyball – A beach volleyball field is located in the back of Indoor Sports Gymnasium 1. Swimming Pools – There are two swimming pools, one 25-meter and one 50-meter. 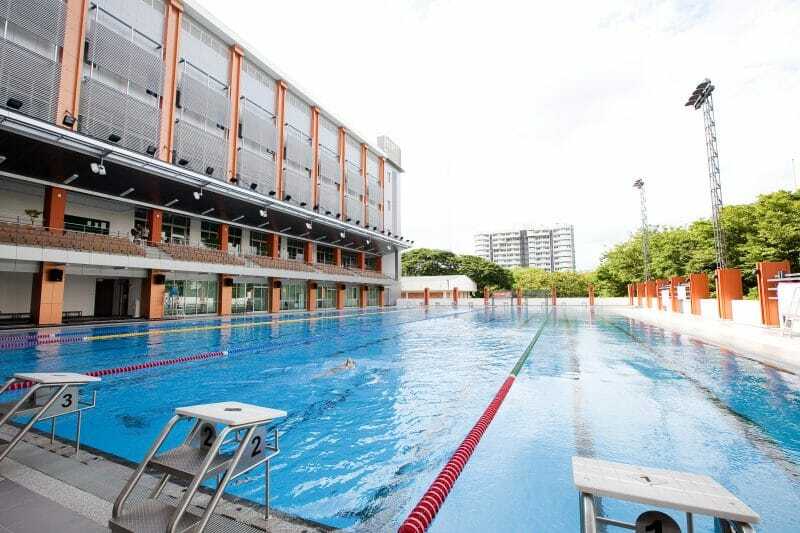 The 25-meter pool, just a short walk from the Indoor Sports Gymnasium 1, has six swimming lanes. 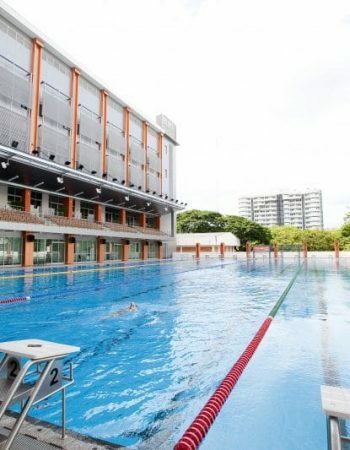 The 50-meter pool, located on the M Floor, Sports Complex, has eight swimming lanes. 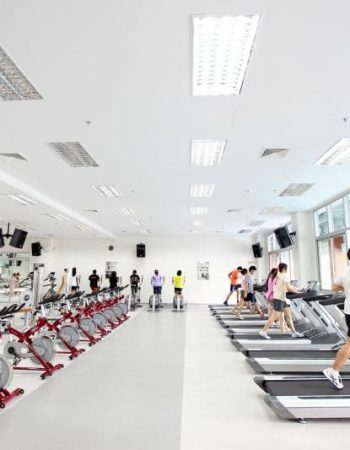 The Fitness Room, an air-conditioned gym, provides both single-station and multi-station machines that can exercise all parts of the body. 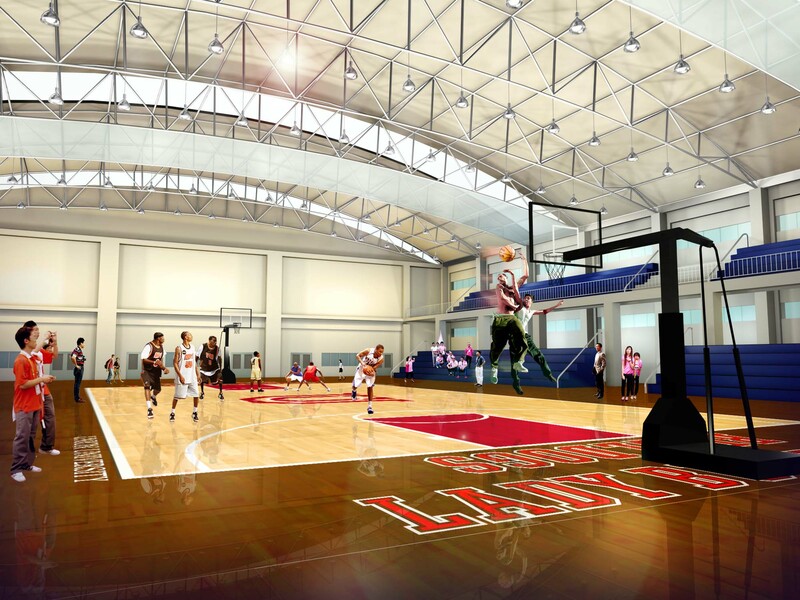 The Weight Training Room is fully equipped with barbells, weight lifting equipment, etc. 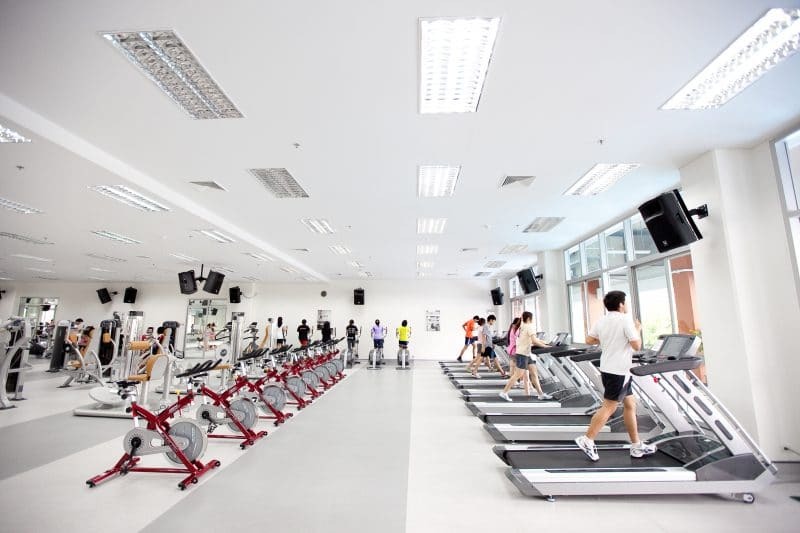 The Physical Fitness Testing Room is also available with a variety of fitness testing machines for muscular fitness, blood circulation, lung capacity, fat percentage, etc. 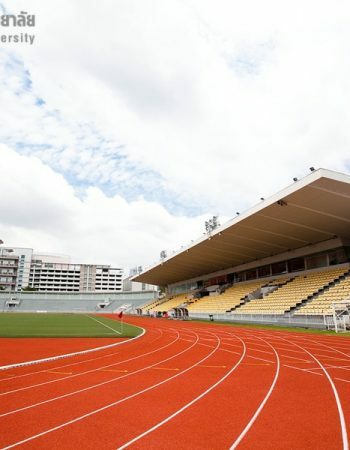 All are located on the 2nd Floor, Sports Complex.